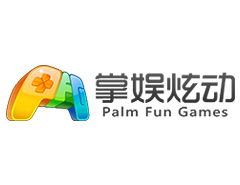 Palm Fun Games was established in November 23, 2015. The management staff of the company are from the domestic first-class mobile game publishers. The founder of Palm Fun Games, Mr. Xiao Pengcheng, who served as the CEO of CMGE Lan Yue of the post. Founding members have an average of more than four years of experience in the game industry. The company headquartered in Shenzhen. The main business includes mobile game development & publishment, overseas game business, web traffic platform.